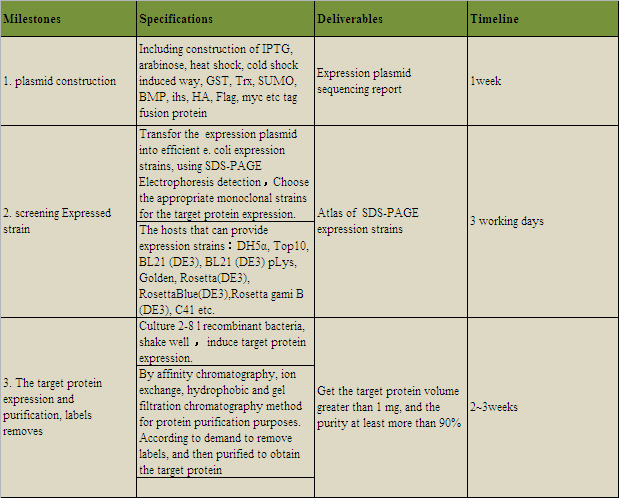 Compared with other expression systems e. coli expression system as the most common and economical protein expression at present. E. coli expression system has a clear genetic background, high expression level, short cultivation period, strong ability to anti-pollution, it’s the essential tool in the molecular biology research and biotechnology industrialization development. The e.coli expression platform of GeneCreate will provide you a full range of recombinant protein production services, we have a wealth of experience and professional technology in the soluble protein, Inclusions, Fusion protein and other protein service area, we can solve any bottleneck problems in the process of protein expression. So far, we have been provided more than 3000 kinds of proteins to the customers around the world. 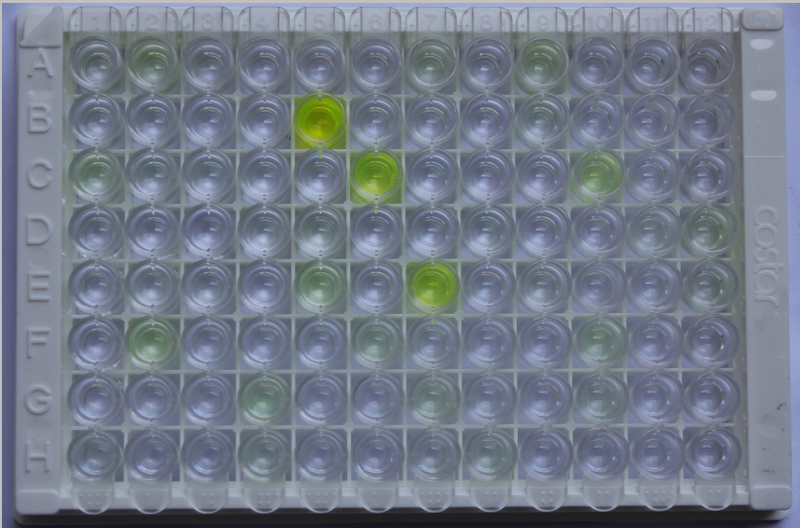 GFP protein prokaryotic expression is typically expressed in the form of inclusion body, It's extremely difficult to observed the green fluorescence in common light .Through the study of the mutation of GFP series, promoter selestion, optimization of culture conditions, control expression rate, GFP protein expressed in e. coli, fully expressed in soluble form, thus the green fluorescences are shown in the natural light. Utilizing 96T plate to make a combination for pH, salt concentration, oxidation reduction, molecular chaperone surfactant or other related factors. Add the denatured protein to microporous plate for dilution method quickly, then screen out the hundreds of operating conditions rapidly.